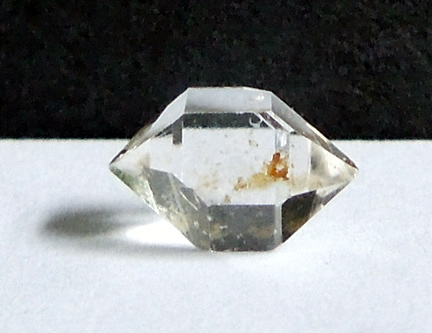 A quality double terminated quartz crystal with a bit of iron oxide externally. 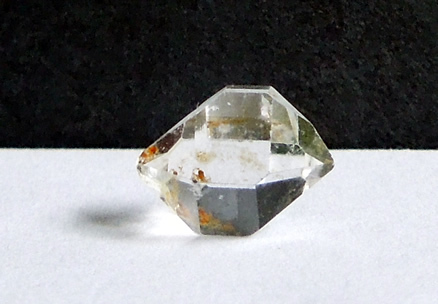 This gives it the status of a golden healer, but it's a pale one. Color is not as strong in person as the images reflect. 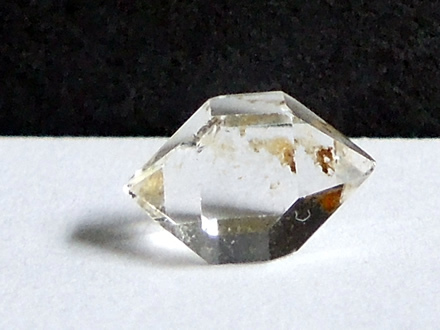 It wouldn't be hard to clean off, revealing a Herkimer Diamond that is internally clean. It has excellent clarity. 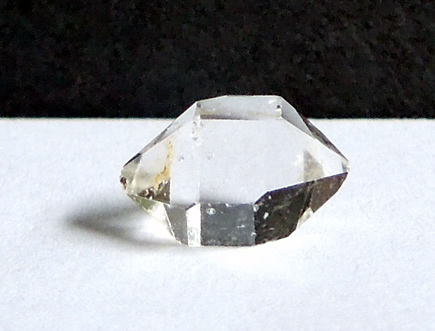 The crystal is double terminated, the smallest speck of black hydrocarbon is present near on the points. 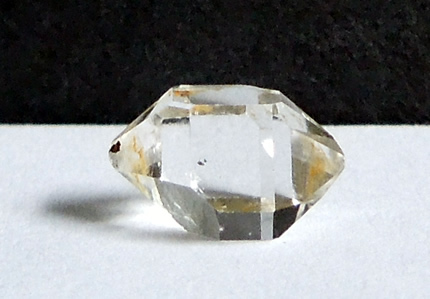 It's seen in an image below. 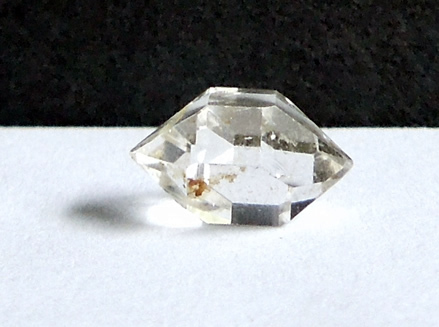 This quality double terminated quartz crystal was mined in Herkimer, NY. 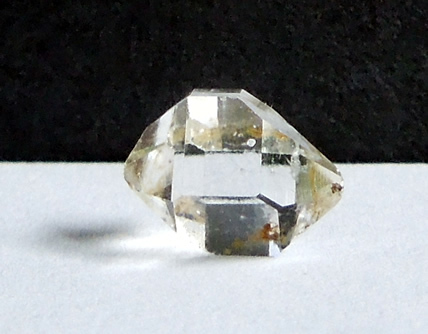 Quality double terminated quartz crystal.